They say a picture speaks a thousand words, and these two images certainly do just that. 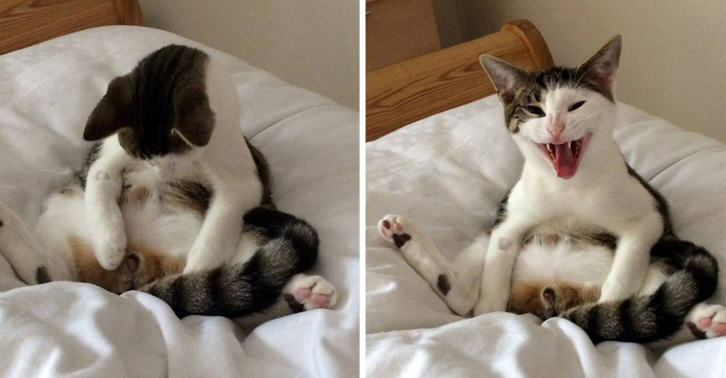 They capture the moment a poor little feline realises he’s had his manhood taken away from him, and were shot moments after 6-month-old Milo woke up from the surgery. Fair response. 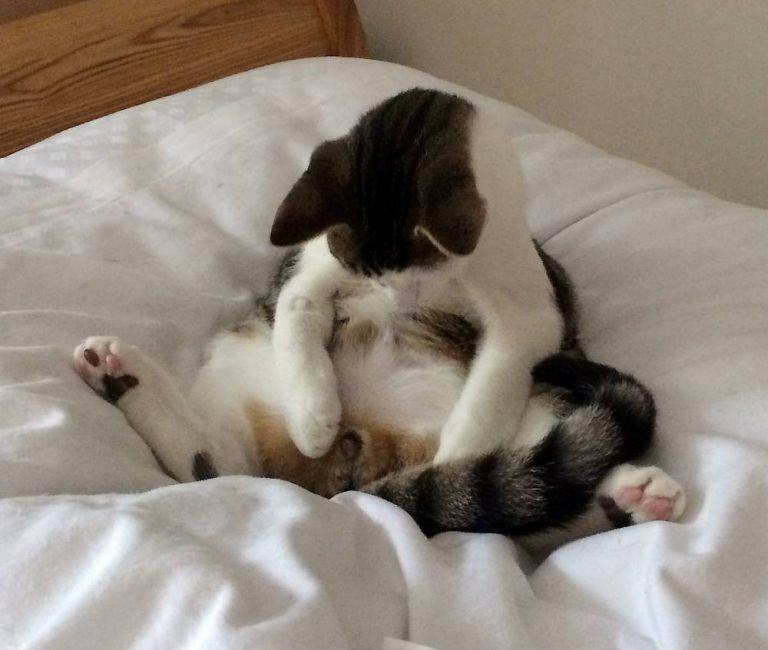 I think we can all feel this cats pain. Owner John Reed from Frizington, Cumbria caught them on camera after returning from the vets. It was priceless. He took about a good hour or so coming around. He looked down and realised they were missing and let out this almighty screech. He carried on looking down and staring for ages. 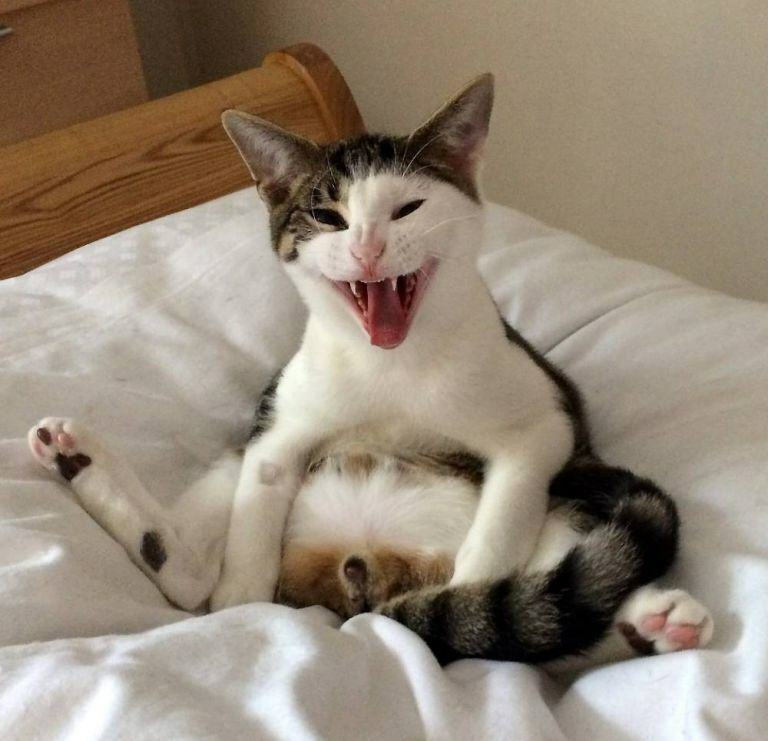 We just hope he’s feline alright now.